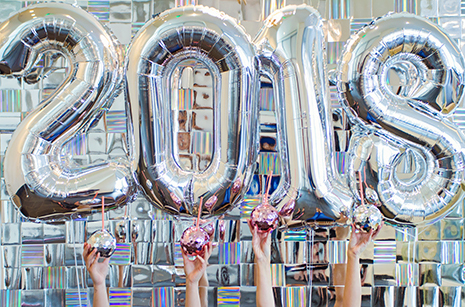 Well, folks, the end of the year is upon us, but before we talk resolutions, goals, and that whole “new year, new you” stuff, we’ve got to celebrate. 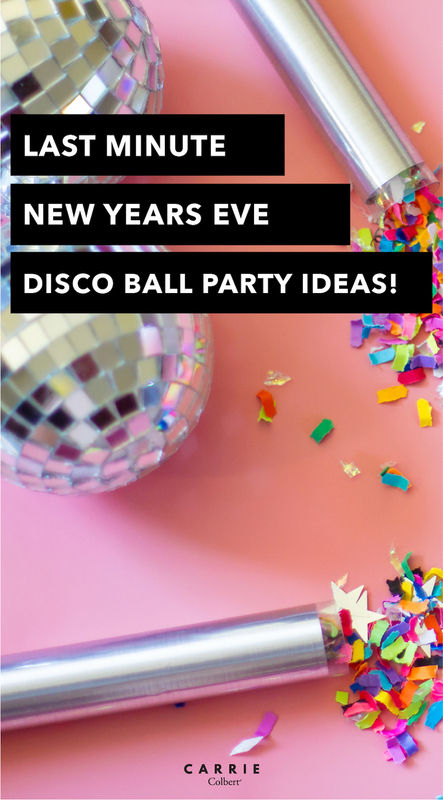 So, we immediately decided on a disco ball inspired party because nothing screams NYE quite like a disco ball, right? And we knew immediately we wanted it at Hotel Alessandra, as we knew it would be the perfect backdrop for what we had in mind. While we’re all about the sparkle factor, we’re even more about the safety factor, which is why we were thrilled to partner with Uber on this, and we’re sharing more on one of our favorite features Uber offers below. 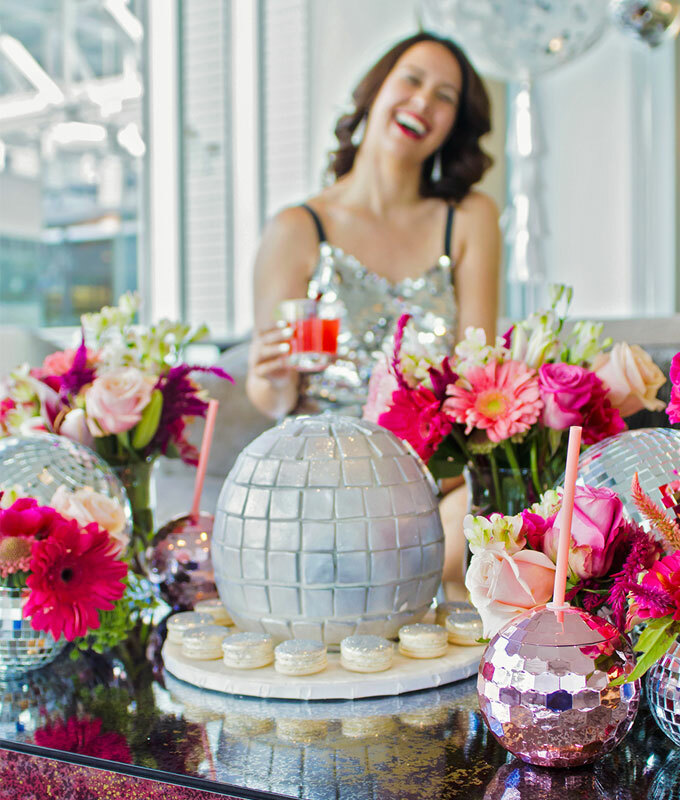 Now, keep on reading for how to host your own disco ball inspired party in six easy steps. We knew we wanted to carry the disco ball theme throughout the entire party, or at least as much as we could. So when it came to thinking about flowers, Holly came up with the idea of creating disco ball planters for the smaller arrangements. And they truly were the perfect thing to hold our beautiful pink and green flowers. What’s a party without flowers? 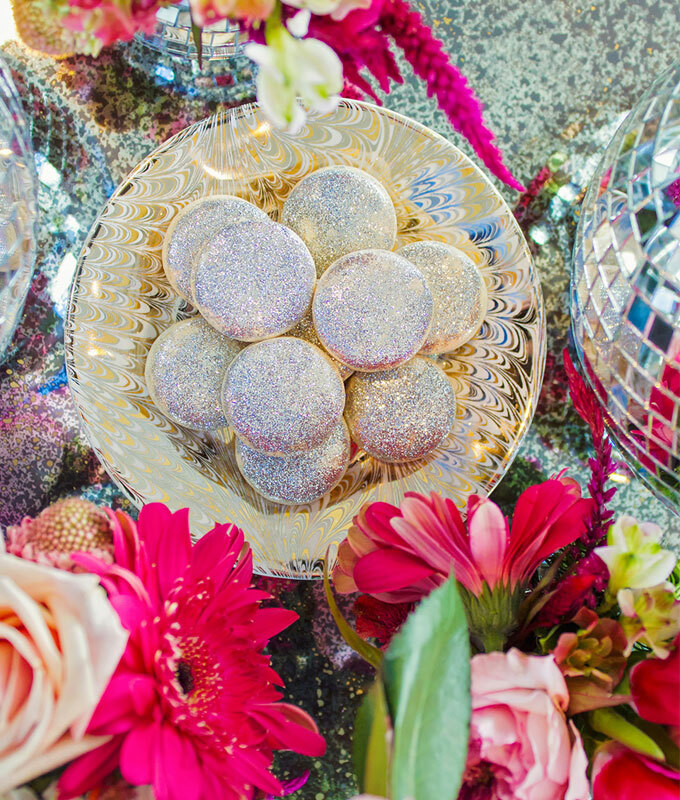 With shades of various pink flowers, we filled table with mini disco ball planters made from simple styrofoam disco balls. 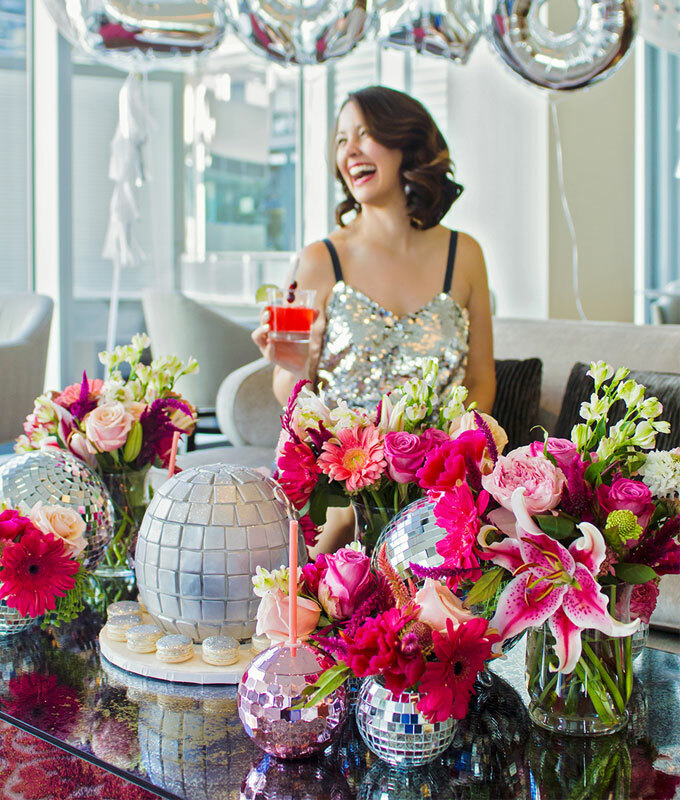 Around them, we added larger disco balls and additional, taller, vases of flowers. Step 1: Remove the small mirrors around the top of a disco ball, where the hanging hardware is. Use the hobby knife so cut a circle, about 4 inches wide and remove the top of the ball. Step 2: Alternating between using the blade and your hands, dig out the styrofoam in the ball to make a hollow large enough for the cup (which you can cut down to size). Step 3: Once hollowed out, turn the ball over and remove several mirrored squares from the bottom. Use the knife so cut off the rounded edge to create a flat surface for the ball to stand on. Step 4: Insert the plastic cup into the hole of the disco ball and cut the top down as needed so that it only sticks out slightly. Fill with water and flowers and display! 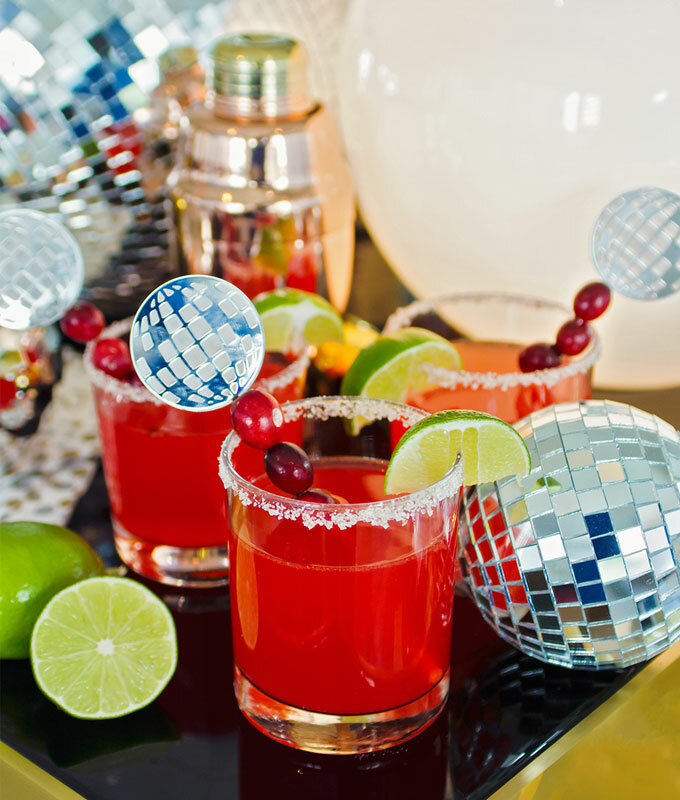 Of course, no party is complete without cocktails (or mocktails). And even better when you have a signature cocktail that goes with the theme and season. 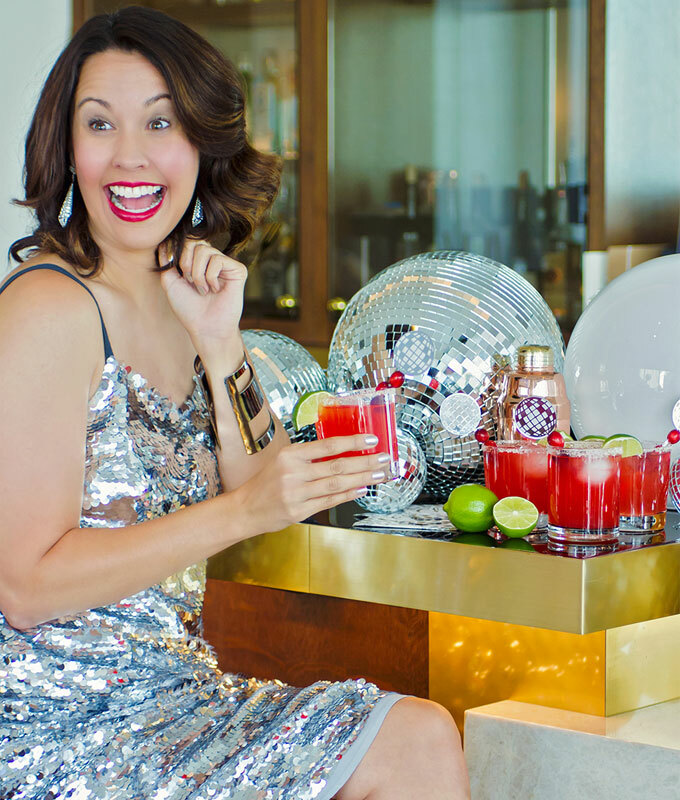 We decided on festive cranberry infused cocktails, and Holly came up with a delicious recipe, which we topped off with adorable disco ball drink stirrers from Post Studio Projects. With cranberries in season, this is the perfect opportunity to incorporate this winter flavor into your cocktails! 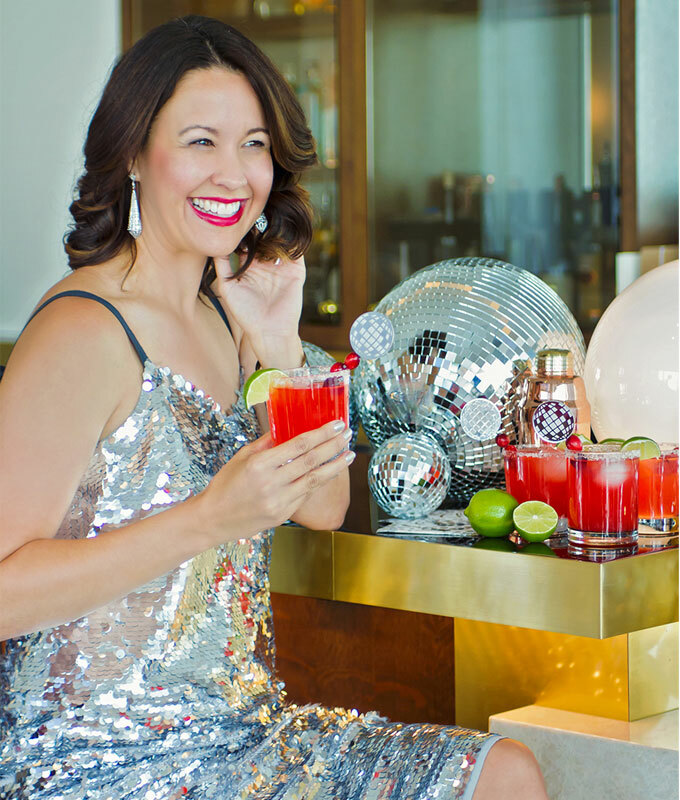 This cranberry paloma cocktail is made with cranberry bitters (or a splash of cranberry juice, if preferred) for color and flavor, and it has tequila, lime juice and lime soda to bring it that signature flavor. 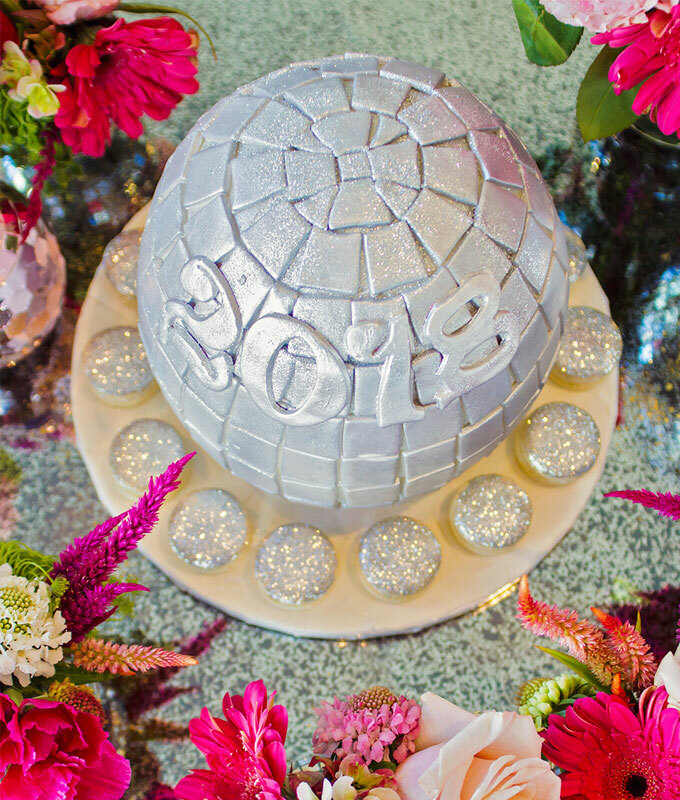 Again, we were really trying to carry the disco ball theme throughout all components of the party, and we knew we wanted a cake and some easy pick up items for dessert. 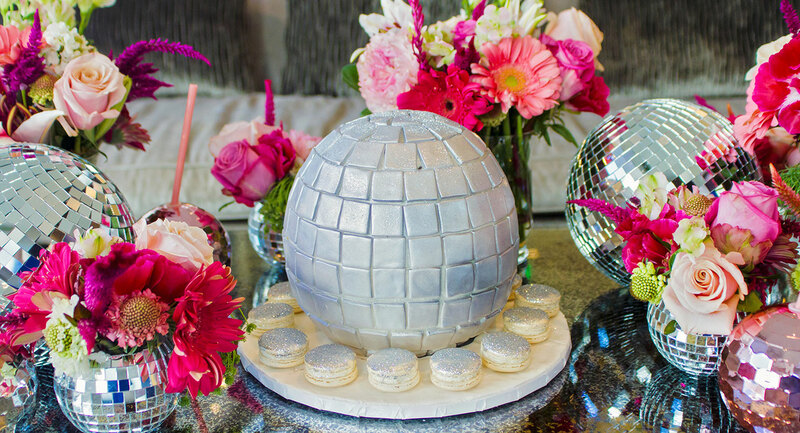 So, we decided on a disco ball cake filled with candy from The Village Bakery and the most sparkly and delicious macarons from Macaron by Patisse. They complemented each other so well! It’s always great when you can incorporate an interactive element to the party. And we knew that element for ours had to be a photo backdrop. So, Holly came up with the great idea to do a disco ball inspired backdrop (adapted from Oh Happy Day). And while it was fairly time consuming, it’s easy and it’s totally worth it because the end result was pure metallic bliss! 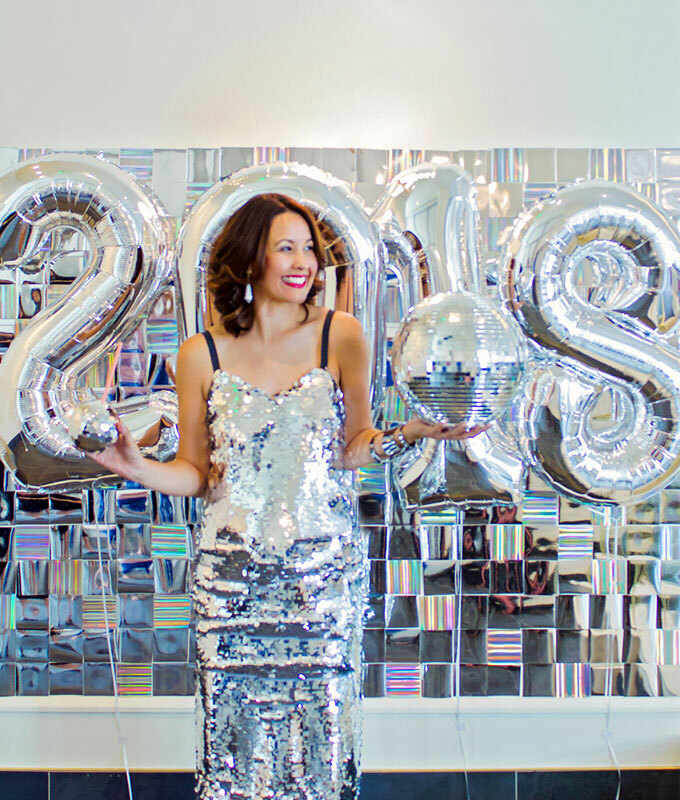 Since we know you’ll be taking A LOT of photos this New Year’s Eve, this DIY mirrored disco ball photo backdrop will keep you entertained all night long with sparkly photos. While this DIY is time-consuming, it’s well-worth the photos you’ll take. In order to make a large enough wall to stand in front of for full-length photos, note that you may need to double the below measurements. Step 1: Using a paper cutter with a built-in ruler, cut the mirror board into 3.5-inch squares. You should be able to get 6 squares out of each sheet of mirror board. Step 2: Once cut, add double-sided tape to the backside of the squares and arrange in a straight line on your desired wall. Repeat in layers until wall is desired height and width. Instead of purchasing confetti poppers, we decided to make our own because, that way, we could choose the confetti to go inside. 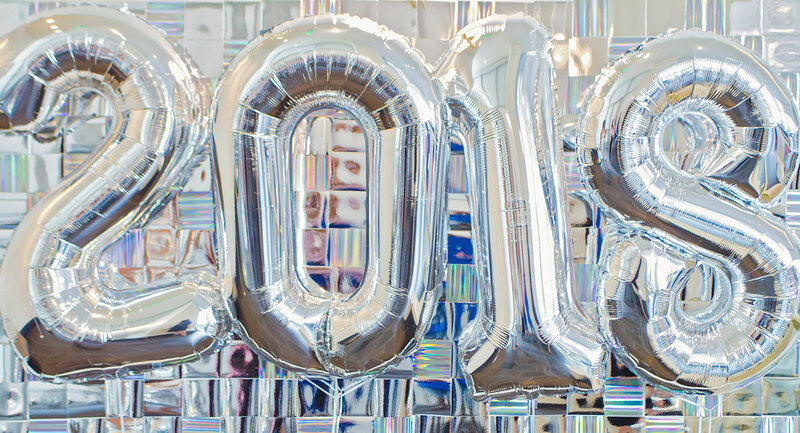 Of course, we decided on our confetti (which you can purchase a similar version to here), and we did simple metallic foiled poppers to match the theme and decor. 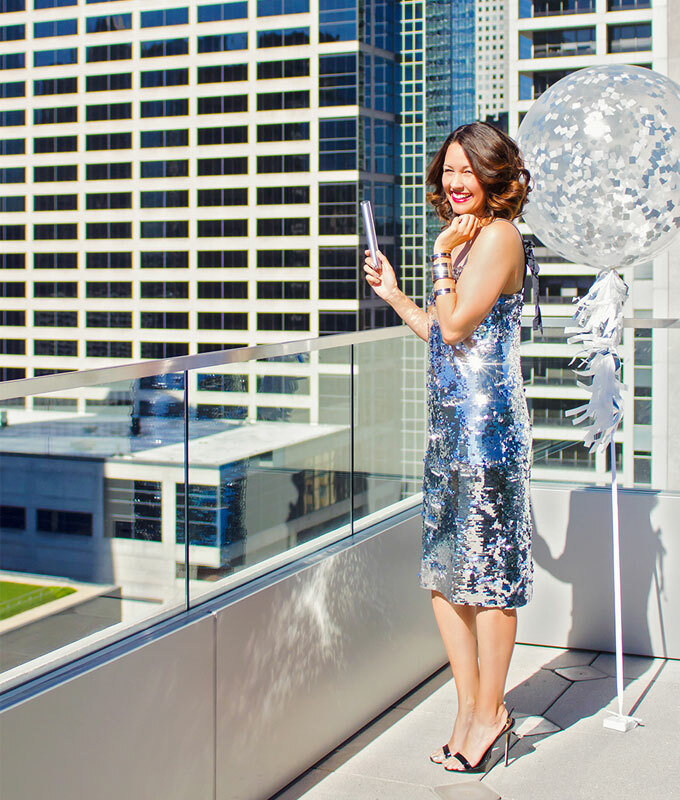 Shoot confetti with simple confetti wands wrapped in vinyl to match a disco ball! Step 1: Measure the size of the gumball containers and cut vinyl that is about ½ inch less wide than the container. Step 2: Before removing the backing, wrap around the container and mark where vinyl meets. Cut to size. Step 3: Remove backing of the vinyl and wrap around the tube to stick. Fill with confetti and cap until ready to use. To use, simply remove the cap and GO WILD. Ok, you don’t have to do this, but we highly encourage it. 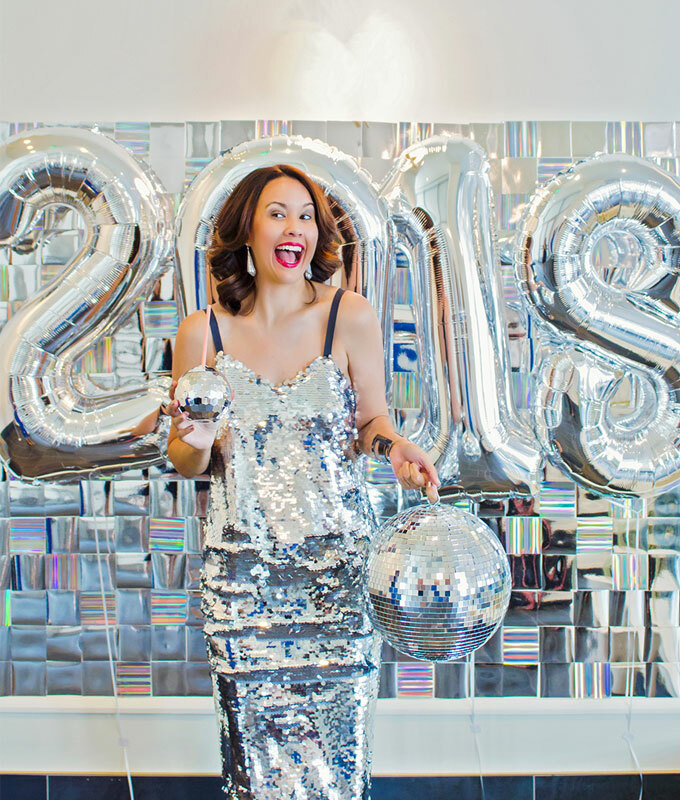 If you’re going to have a disco ball inspired party, you surely should dress the part! Carrie’s dress came from J.Crew, and you can shop all the components of it here. 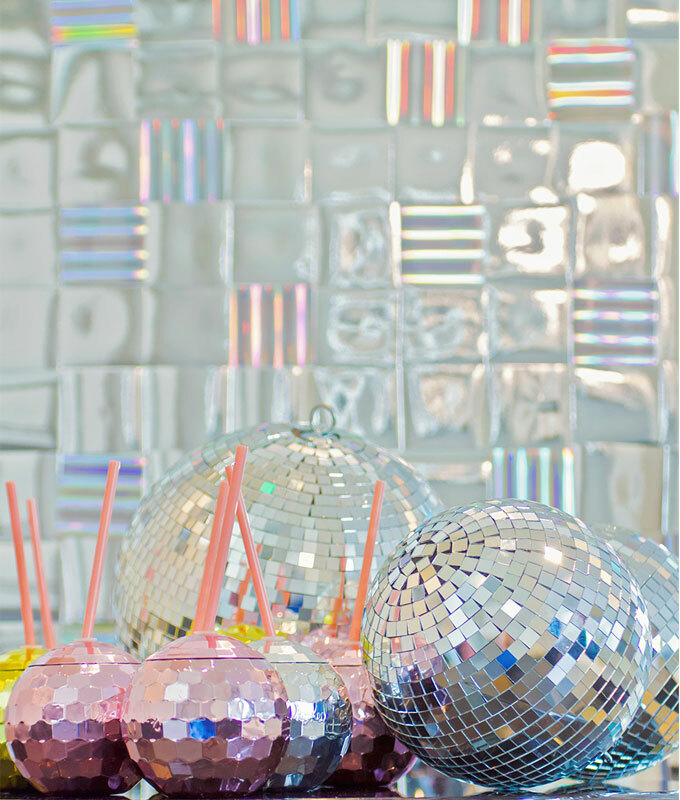 And, in this instance, you can never have too many disco balls or metallic and sparkly things. 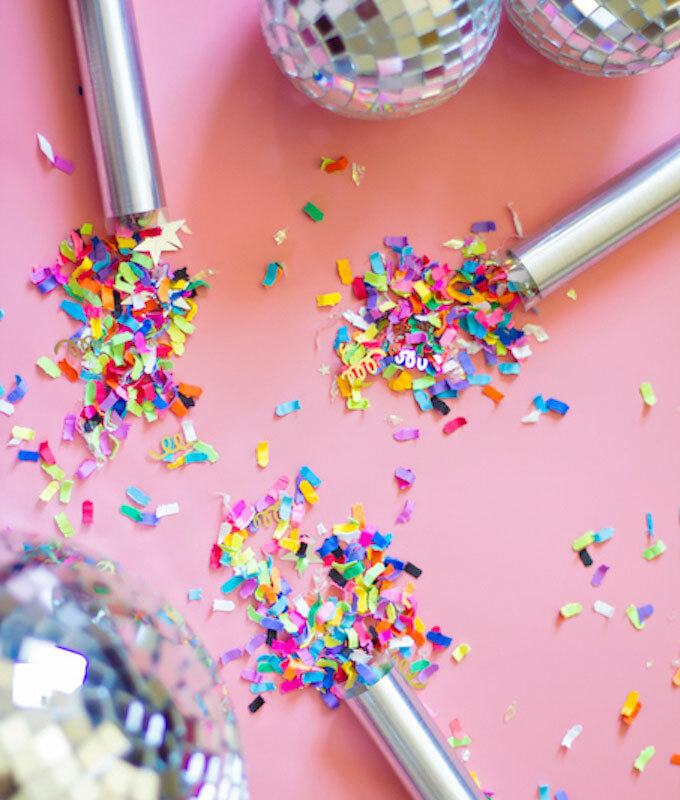 We stocked up on Packed Party disco drinks, lots of disco balls, and extra sparkle because it’s New Year’s Eve, after all. It’s understood that more often than not there will be drinking going on at New Year’s Eve parties, and it’s so important to think about safety when it comes to your guests going to and from your party. This is where Uber comes into play. In fact, as we’ve mentioned before, as of a few years ago, Carrie no longer hires valet parking for their holiday party. Instead, they provide an Uber code for guests to ensure their safety all night long, from beginning to end. It’s really been a huge hit with party guests, as they don’t have to stress about anything and they can just have fun and enjoy themselves. It’s definitely something to consider for your holiday parties this year. Frankly, drinking any amount of alcohol and driving just isn’t worth the risk. There is no point. Quite simply, use Uber and be safe. 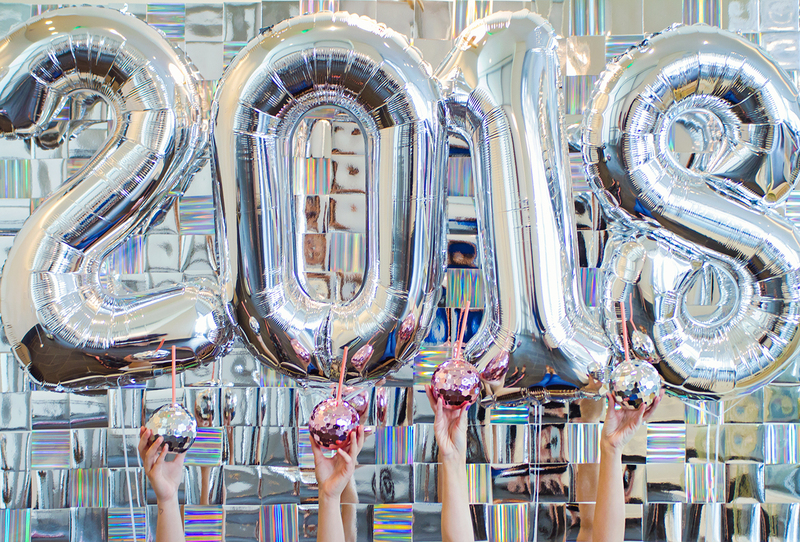 Well, are you officially ready to ring in the new year? 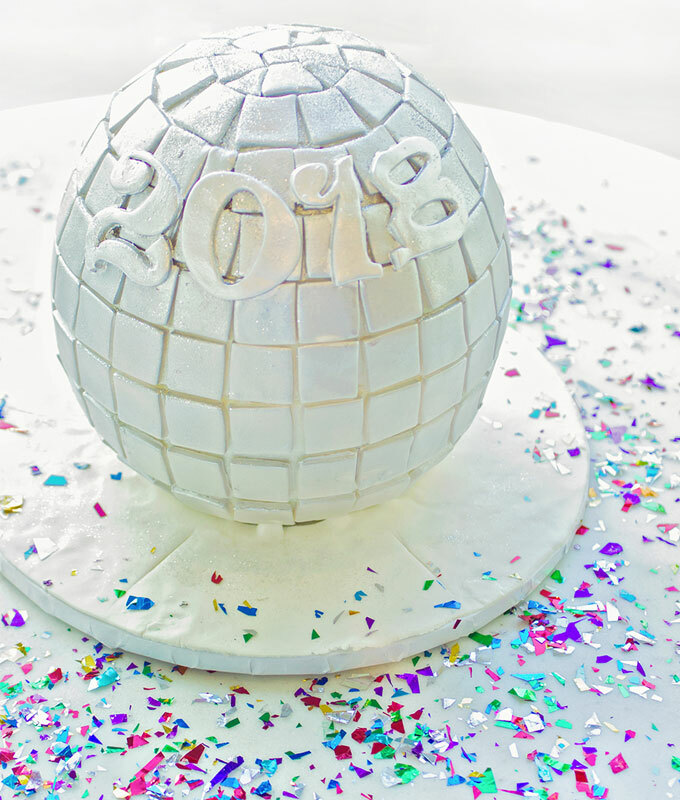 We hope you loved our disco ball inspired New Year’s Eve party as much as we enjoyed putting it together. What are your plans for NYE? If you’re more of the “stay at home and order in Chinese food” type of person, don’t worry, we feel ya! We hope you’ve had a great week, and we’ll see you back here tomorrow! Thank you to Uber for sponsoring this content. Sponsorships like this help make creative content like this possible. Thank you to our community for supporting us and our sponsors by clicking on links shared here and by doing business with our sponsors. This is just WAY too fun! Love!!! We have a feeling you'll love this unique take on spring rolls.